Merely two weeks into the year and it feels like a lot has happened already. Back to work, into the swing of building up my fitness again and feeling much more human than I did over Christmas. 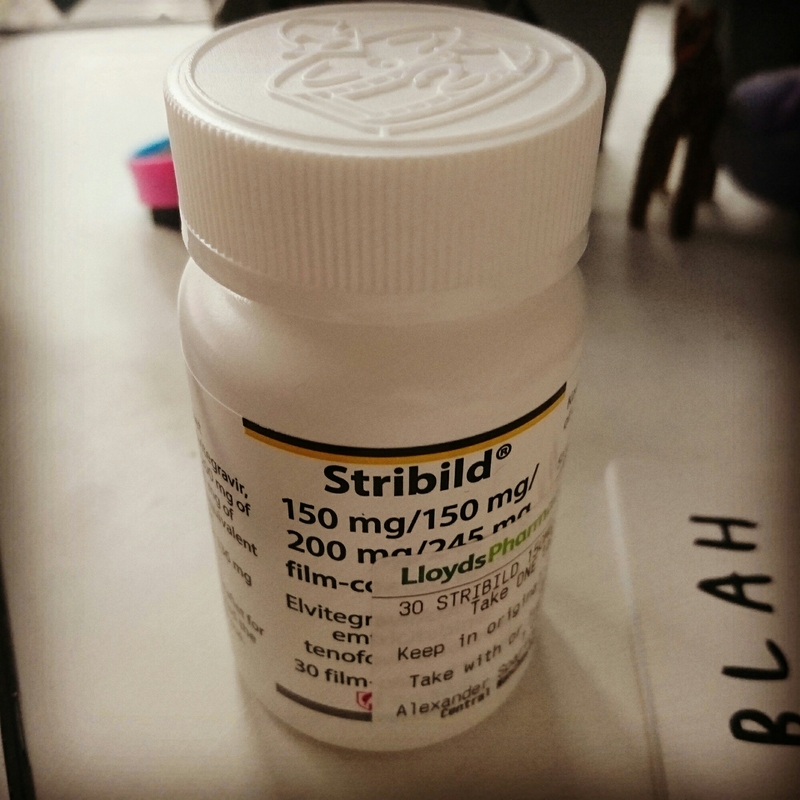 The biggest change has been to my medication, after two years on Eviplera I’ve made the switch to Stribild due to interaction issues with other medication. It’s about a week since I started the new combination but I seem to be tolerating it well so far. It’s a once-a-day pill just like my last which means my meds habits haven’t needed to be altered, shame about the vile colour of the tablet, but if that’s the worst thing about it I’ll be very happy indeed. I’ll know how well they’re working when I go back for blood tests in March, until then I’ll keep popping them like a good boy. I’m excited about the first few months of this year, there’s a lot to look forward to and many opportunities to create some fantastic new memories. Why Stribild? I mean they just launched Genvoya, which is exactly the same as Stribild, but with a new composition of Truvada that has 10 times less tenofovir, and therefore much less toxic. Does your doctor knows that the new Stribild is called now Genvoya? I’m well aware but not all the new TAF drugs are commissioned in all areas of the UK yet. I was offered Genvoya at Heartlands, but waiting for probably going down the Doletegravir route instead.